How we spent your donations! Thank you! 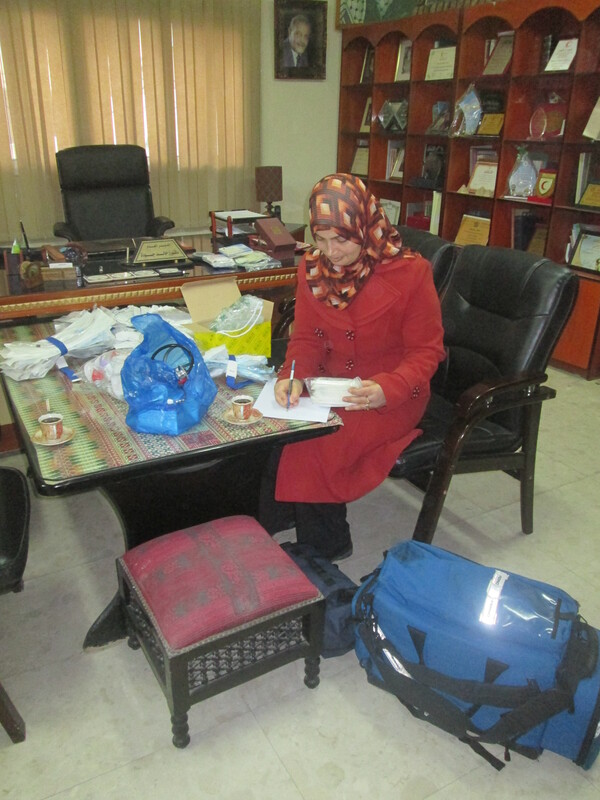 Before we travelled to Gaza we decided to ask friends and colleagues for donations so we could take some medical kit with us. We were hoping for a few hundred pounds, so we were really surprised and excited to raise about £2000! Thank you so much to everyone that donated, including friends of friends who don’t know us but read our call out. It was amazing to be able to revise our planned donations to include more kit, better quality equipment and more expensive models that are designed to be reused (which we know they will be). Here is everything we bought! 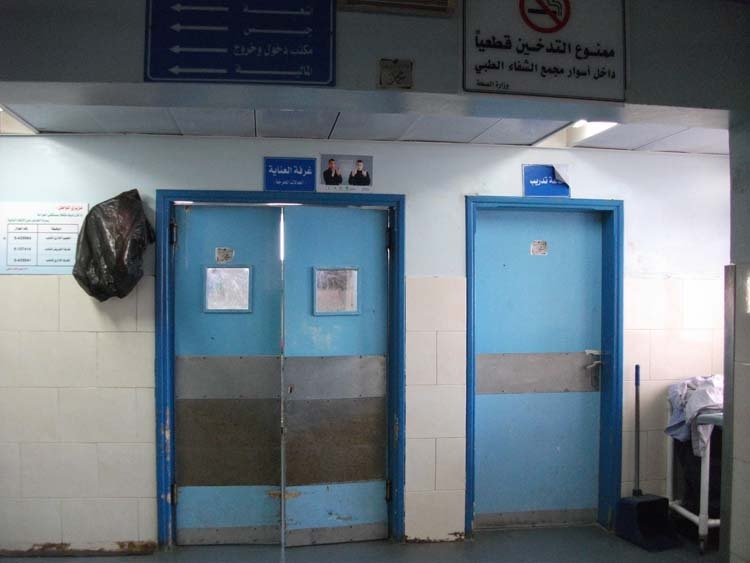 In part one I gave a brief introduction to the Emergency Department (ED) at Al-Shifa hospital, Gaza’s largest healthcare facility. I spent a few hours there last week meeting staff and seeing for myself the current situation in the ED and Intensive Care Unit. In this post I’d like to focus on the shortages affecting health care provision in the ED and ICU, which are the same shortages affecting every part of the health service here. Shortages here come in a few different forms. Firstly, many drugs are scarce or completely unavailable. Secondly, many disposables (single use bits of medical equipment, such as suction tubing or syringes) are expired or unavailable. 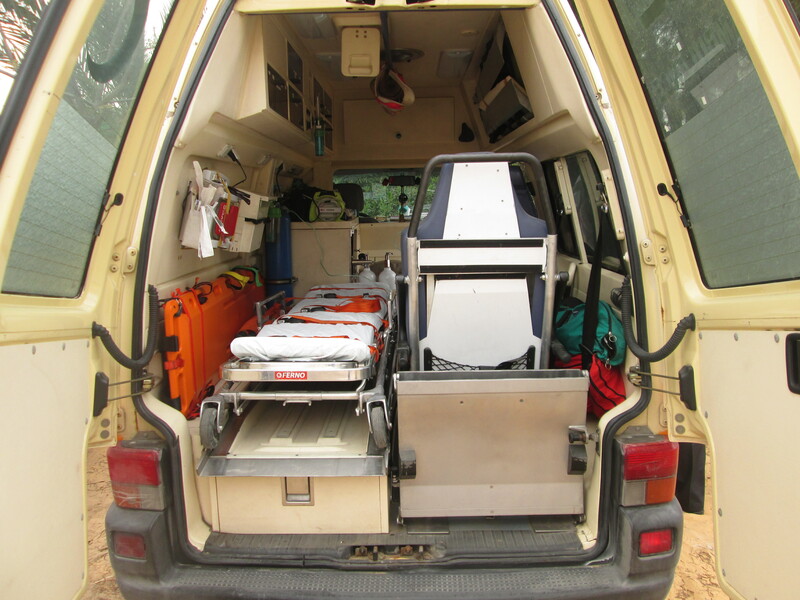 Thirdly, parts and servicing for medical equipment are often unavailable. 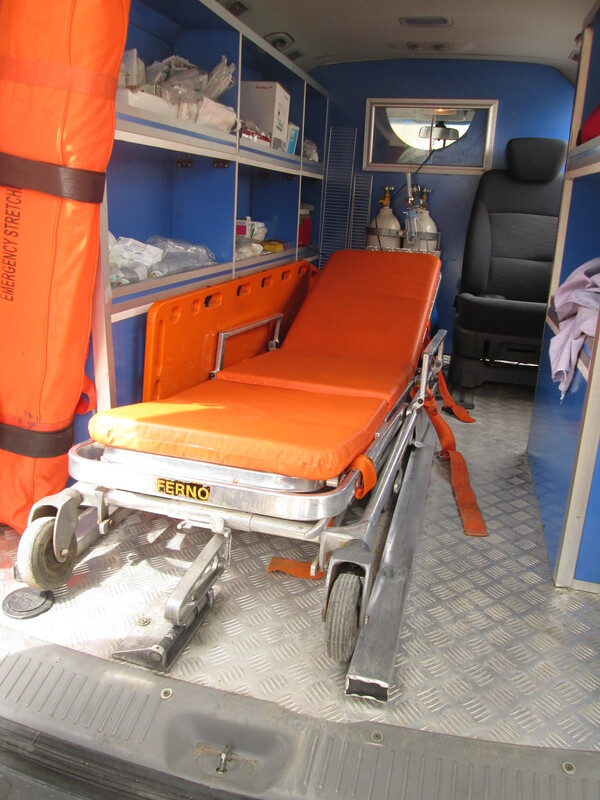 This includes ambulances themselves, as we heard from the Ministry of Health. Kathleen and Gillian are paramedics who work on emergency ambulances in England and New Zealand respectively. Both have previously been involved in human rights work at home and abroad, including the West Bank. 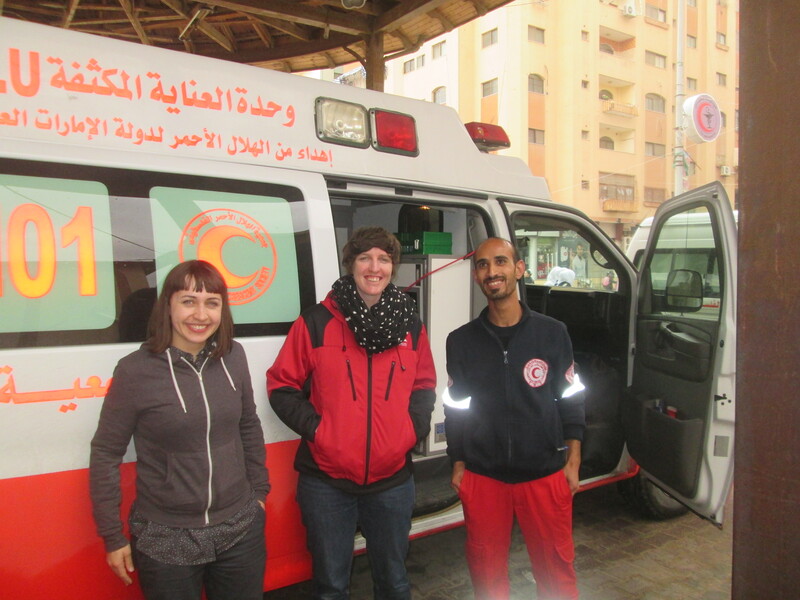 In true Defend The Rescuers spirit they have arranged sabbaticals, covered their own expenses, then fundraised to bring medical kit in person to their fellow rescuers in Gaza, arriving March 9th. We went to bed last night unsure as to what the situation would be today and had an uneasy sleep. 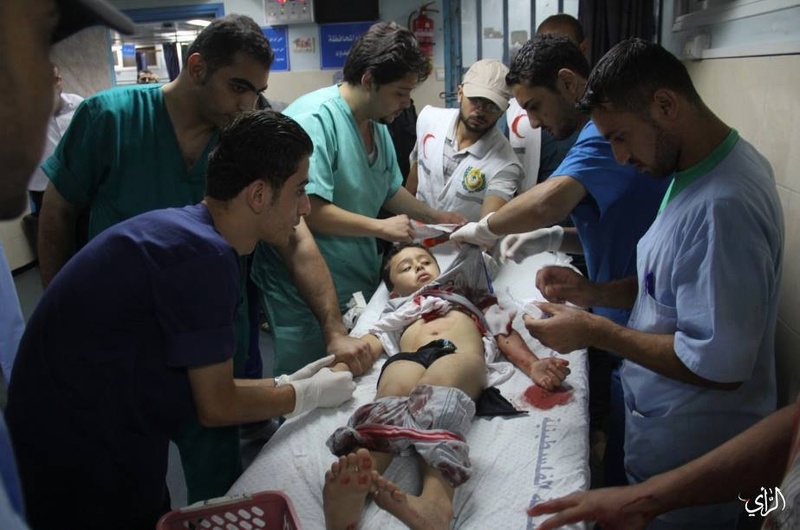 Fortunately we awoke to news that while there had been airstrike retaliations by Israeli military overnight, no casualties had been reported. The situation has remained calmish throughout the day, although it appears that people are preparing for the worst. Our day has been busy. We had the total honour of handing over a donation of medical supplies to the director of the Red Crescent in Gaza, Dr Khaleel Abu Alfol. 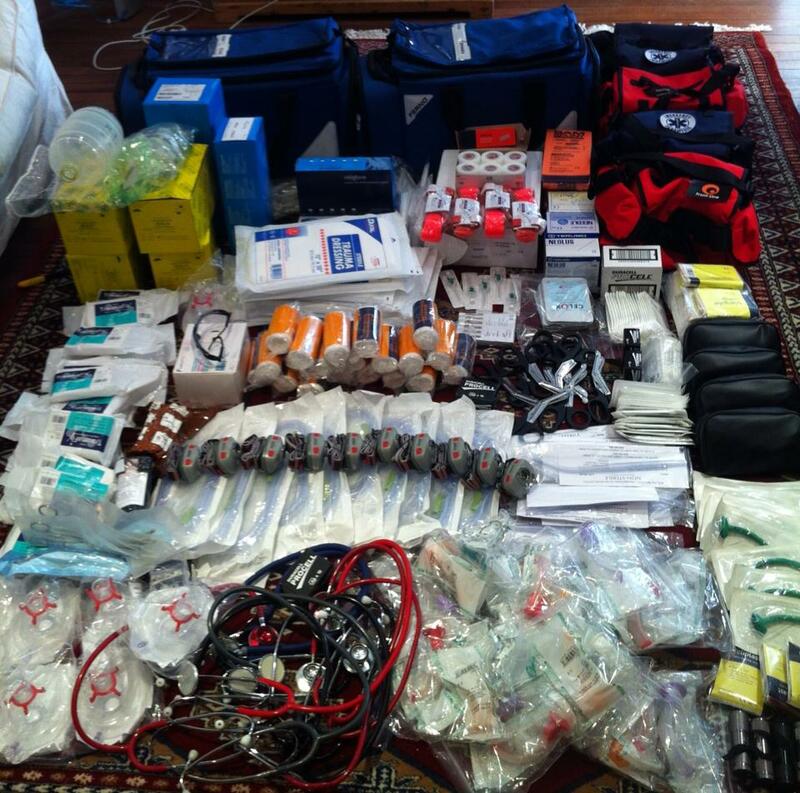 The supplies included two complete ‘response bags’ (/ jump packs) for ambulances and a stack of miscellaneous hospital kit including stethoscopes, sphygmomanometers, ET tubes, airway adjuncts, forceps, bag valve masks, suture kits, thermometers and suctioning equipment. While it wasn’t a huge amount, we had managed to bring in equipment which is currently unavailable in Gaza; including suction handles and universal suction tubing which appeared to impress Dr Khaleel and his staff. These medical supplies will be shared through multiple departments in Al Quds hospital and will undoubtedly go to good use. At least one of the response bags will be used in an EMT training course which is beginning in a week or so. Massive thanks again to everyone who donated! We still have a stack of gear which will be shared with other organisations.